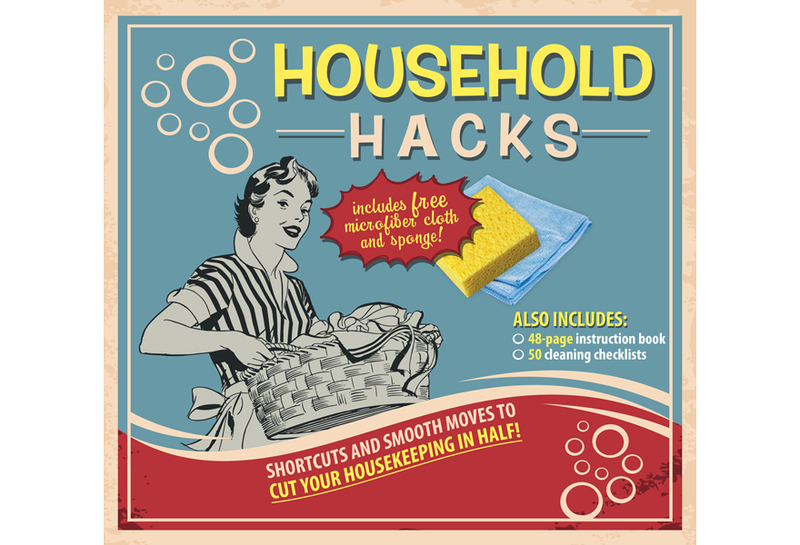 Cut your housework time with this Household Hacks kit! 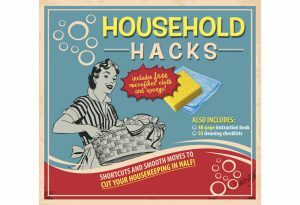 Kit includes 48-page books of cleaning tips and tricks, microfiber cloth, sponge, and note pad with 50 to-do checklists. Learn tips for cleaning and organization with this helpful kit. Make your own cleaning solutions and learn the best ways to clean different materials.